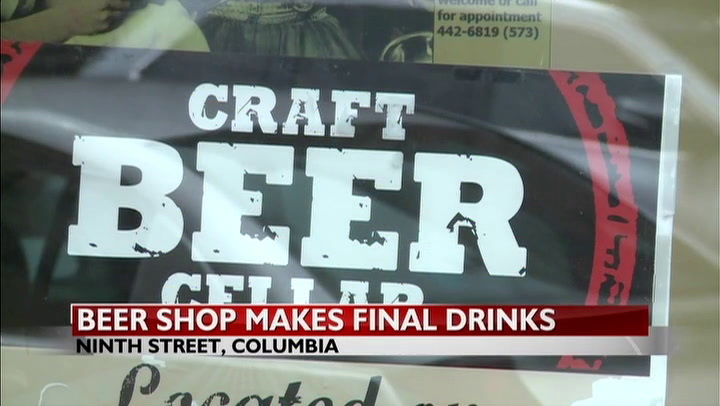 Craft Beer Cellar will close its doors for good on Wednesday, according to its Facebook page. Some of its frequent customers, also known as "beer geeks," are struggling to come to terms with its closing. "It's the same sinking feeling you get in your chest whenever you find out something bad happened to a close friend or family member," said Hannah Bailey, a regular customer for the past four years. Bailey enjoyed the company of the staff and a cold beer every week for past four years at the Craft Beer Cellar. She, among almost 100 other customers, shared memories about their favorite times at the store on Facebook. The owners did not announce the reason for its sudden closing. "I don't think there's really anything that could replace the CBC and its passion for the world of beer," Bailey said. The Craft Beer Cellar's involvement with community events such as weekly trivia nights and pop-up shows have encouraged people to get to know each other. "We've met some of our best friends there," a game night host Rebecca Czebrinski said. "It's not just get your beer and get out with them." The Craft Beer Cellar opened in 2014.